Just a little over a year after the death of Alexander McQueen, the would-be- 41-year-old British Designer who died of suspected suicide at the height of his career--a career that spanned no longer than about 14 years of mind-blowing designs--is on display at the MET: Savage Beauty, the Alexander McQueen Retrospective, launched just last evening at the Met Ball. The title, Savage Beauty--is perhaps an eerily veracious two-word narration of McQueen's mental being--a battle that he fought and hid from his public, until the very end. In one of his last statements (tweeted by the designer less than a week before his passing) he described his experience as, "From heaven to hell and back again, life is a funny thing, beauty can come from the most strangest of places even the most disgusting..."--seemingly, perhaps an acknowledgement that life is indeed a paradox of simultaneous beauty and savageness. 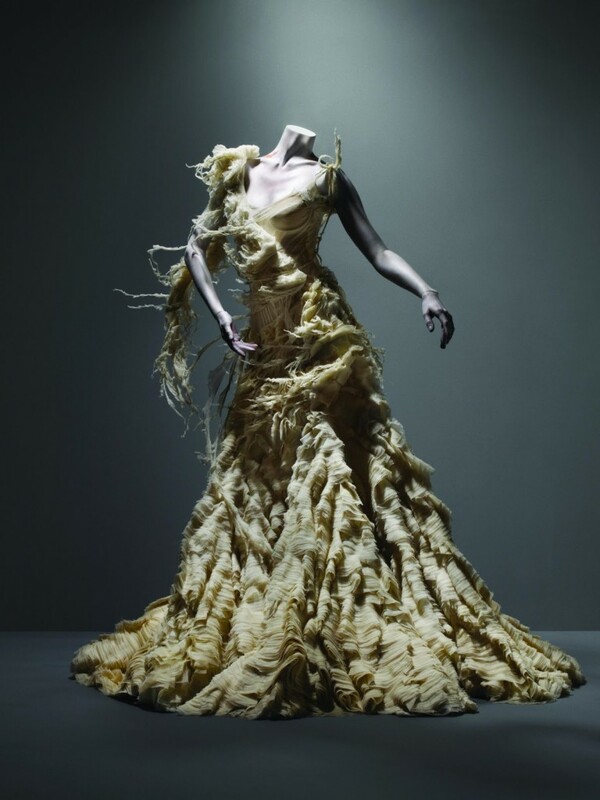 Despite the critically acclaimed designer's mental struggle, his perseverance while he was still alive blossomed spectacularly through his work: McQueen won the British Designer of the Year Award four times between 1996-2003; he's also been named International Designer of the Year. 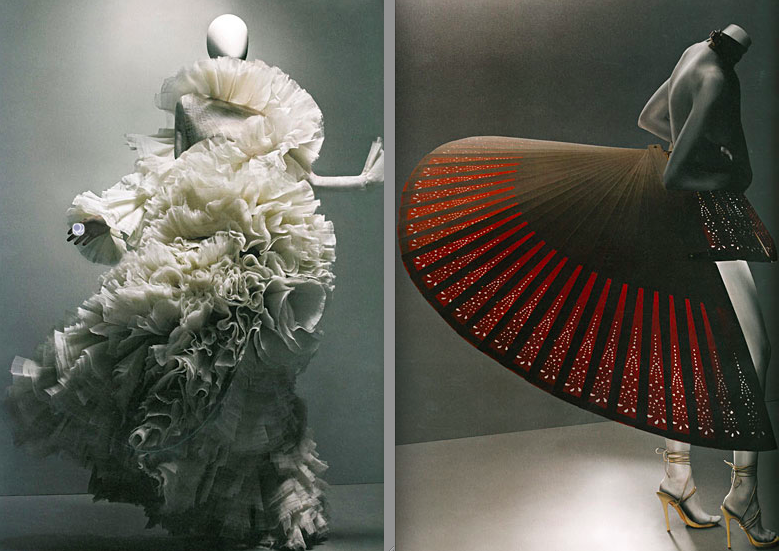 And despite all the commotion of the who's -who and who's-wearing-what at the MET Gala this year--no one should forget why they were all in attendance (including the media): which is to honor the artist--without whom the fashion landscape will never be the same. Nonetheless, McQueen's collections can outshine any celebrity at any gala, any day. 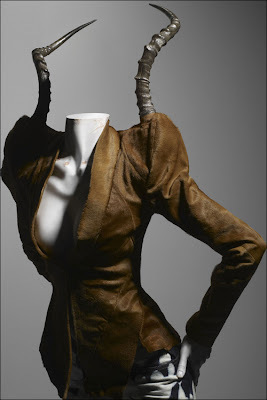 They speak loudly for themselves and for whom he was designing--each and every ensemble is truly a world in which Alexander McQueen meant to embody a strong and confident woman. In 1997, the-now-fashion-legend gave an interview to Charlie Rose, in which he candidly explained his attitude towards fashion and critics alike: "It’s not that I don't care. It's just that I’m trying to change people’s public opinions about fashion itself--because it’s not as shallow as it seems to be, in the normal public’s eye." Have a watch at the video (via stylerumor.com, above), to get a glimpse of the showcased pieces. 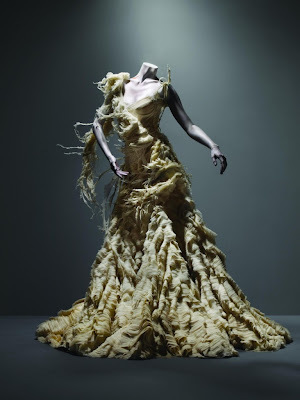 Plus, the inaugural speech given by his colleague and long time friend Stella McCartney, followed by Sarah Burton, the fashion icon's successor at the McQueen fashion house--and whose now embedded talents greatly reflect the unique aesthetics of the one and only: Alexander McQueen.